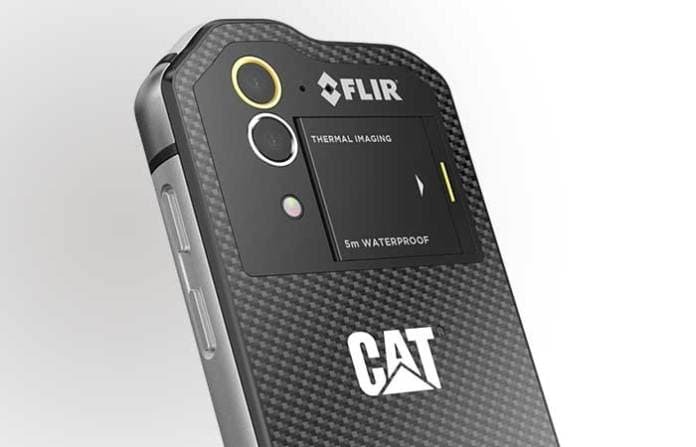 Cat Phones, a division of Caterpillar Inc., has launches its flagship device Cat S60 in India. The phone boasts being world's first to have an integrated thermal camera. It was initially showcased at MWC 2016 and is now available for sale in India at a price tag of Rs. 64,999. You can purchase one of these from outlets of different brands and Amazon India starting March 17. It’s not a phone everyone would prefer to buy particularly at that price. The thermal camera technology comes from FLIR Systems; reputed manufacturers of thermal imaging, night vision and infrared sensing. MSX technology, exclusive to FLIR is used to capture clear thermal images even under foggy conditions. With such capabilities in a smartphone, one can point out gaps in insulation, electrical faults and even monitor the overheating of any machinery. Some fun implementations include checking gas cylinder level or freshness of bread etc. People didn’t need such a feature in their phones so far, but since the technology is here, acceptance will follow shortly. Other than this, it is also waterproof providing 60 minutes of time underwater up to a depth of 5m without any damage. The brand is famous for its super rugged phones and the legacy is continued with Cat S60. It is drop-proof to 1.8m and the extra strength is provided by strengthened die cast frame. Company claims it exceeds even military specifications. Coming to the regular stuff, display is a 4.7-inch HD panel protected by Corning Gorilla Glass 4. The phone is powered by Snapdragon 617 SoC coupled with 3GB of RAM and a non-removable battery of 3800mAh. It supports dual sim and runs on Android 6.0 Marshmallow. 5MP front camera and 13MP rear sensor will give satisfactory images even underwater shots are possible with this phone. Remember waterproof! Weighing at around 223 grams and a thickness of 12.66mm puts the phone in a league of its own. No comparison with other devices. It’s a phone serving different purpose for people living a rugged lifestyle. The company has already crossed a million count in selling S60 across the world and hopes for such a thrilling response from India too.